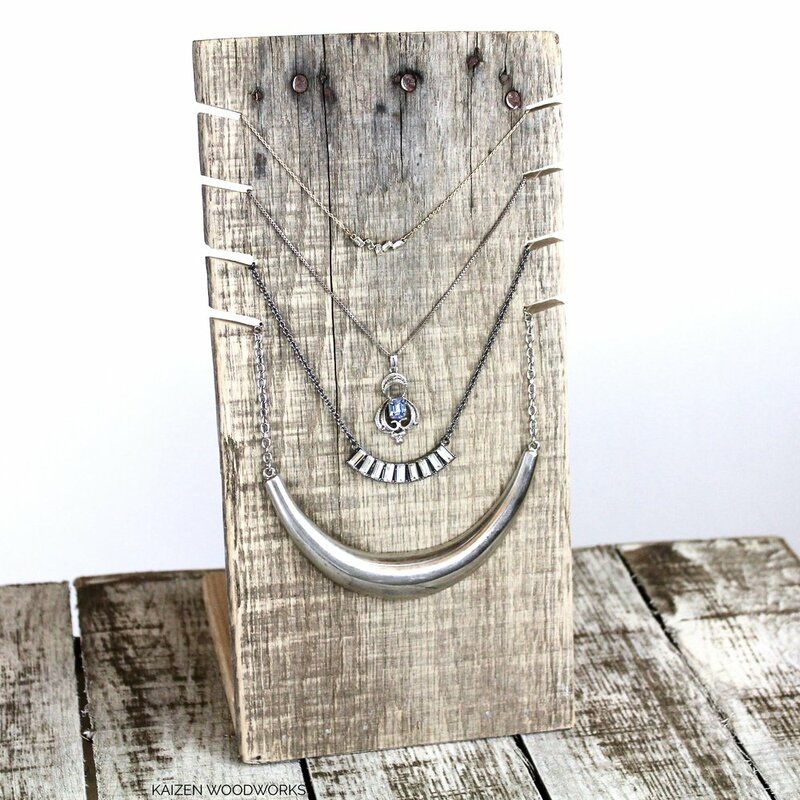 I acquired a small batch of old fence wood that I ended up using to make some slotted necklace displays. Each one was beautiful and unique. On the initial displays I used a table saw to cut the slots. I eventually moved to using a CNC because of efficiency and precision.